Two (lost ?) songs registered as written by Gene Simmons and Paul Stanley are recently added to the ASCAP database. Today Gene Simmons called Robert Fleischman to inform him that the song "Piece Of The Rock" - which they wrote together - will be included on the Gene Simmons demo boxset that will be released on Rhino Records ! 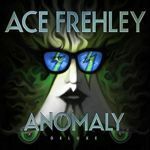 Gene Simmons has co-written two songs for Ace Frehley's next solo album, the KISS bassist/vocalist has revealed June 22, 2017. The news of the two former KISS bandmates' collaboration was broken by the bassist/vocalist as he was giving an interview to the Minnesota classic rock radio station 92 KQRS last week. Asked if KISS has any plans to return to the studio and make new music, Simmons said "Well, I suppose at some point. But literally two days ago I was with Ace, who's not in the band - he used to be in the band three different times - and we wrote two songs. He asked me to write for his next solo record. So I went over to his place, way out in the desert some place, and we wrote two things. 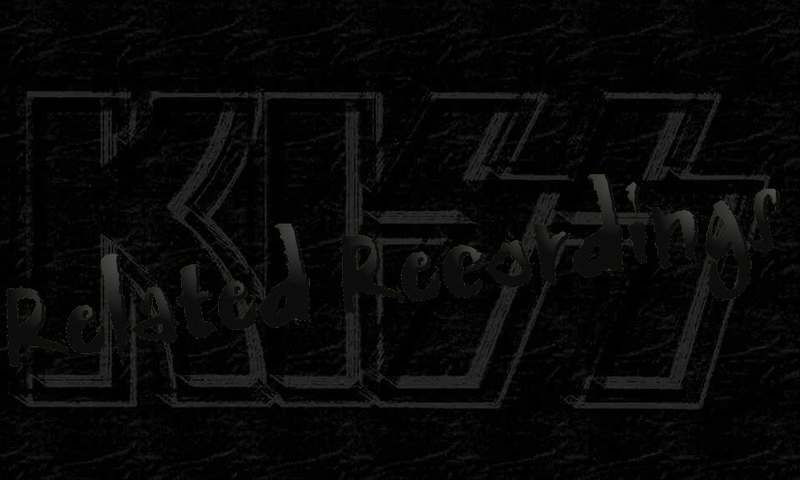 And eventually the band [the current lineup of KISS] will go back in [the studio to make new music]. But there's no great incentive, because the record industry, the entire thing, is so dysfunctional. You work hard and you get paid, and if we're gonna work a year on a record, I wanna get paid too. KISS is not a charity. We make a difference between what we do personally and as a band. We buy houses for vets, we supply jobs, we give money to charity, but that's 'cause I wanna give. I don't want anybody deciding that our art, our music, our concerts is free, because 'you have enough money.'" Even though Frehley reached out to Simmons a couple of years about contributing the original KISS guitarist's "Origins Vol. 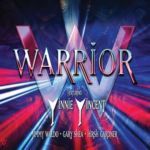 1" collection of covers, the bassist/vocalist ended up not appearing on the record because "either [Gene] didn't get the message or he was just too busy," Frehley told the WPDH 101.5 FM radio station last year. So cool! Gene Simmons called me today to inform me our song we wrote together; "Legends Never Die" will be included on a box set Gene will release on Rhino Records !...Great to hear from my mentor the God of Thunder himself! Originally titled "When The Legends Dies", credited to Micki Free and Gene Simmons. With help of Adam Mitchell, KISS demo'ed the song as "Legends Never Die" during the "Creatures Of The NIght" sessions, but the song never had a vocal track put on it. From then on the song was credited to Gene Simmons, Adam Mitchell and Micki Free. In 1983 Simmons took the KISS track and add WENDY O' WILLIAMS vocals to it. 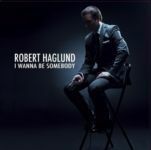 Last year Swedish artist Robert Haglund, better known as one of the Four members in the Motown group The Fantastic Four, released his debut album "I Wanna Be Somebody". 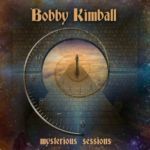 On this album Robert sings his favorite Hard Rock tunes in a jazz style, an unique and personal album. The quest Musicians are well known in music business, here you find Bruce Kulick (KISS) Rudy Sarzo (Whitesnake) Swedens most famous jazz singer Svante Thuresson, Tony Harnell (Skid Row / TNT), Kee Marcello (Europe), Fred Coury (Cinderella) Jan Johansen etc. Bruce Kulick is playing guitar on "Love Gun" (KISS) , Enter Sandman" (Metallica) and "Don't Believe a Word" (Thin Lizzy). 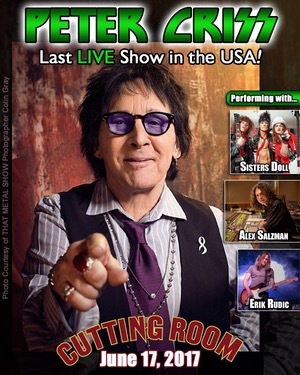 Original KISS drummer Peter Criss played what was being billed as his final U.S. concert this past Saturday, June 17 at the Cutting Room in New York City. 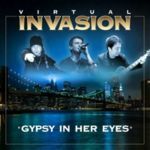 Criss handled the vocals and some of the drums at the show and was backed by musical director and keyboardist Alex Salzman, guitarist Erik Rudic from the band the COLD SEAS and a horn and string section. Criss's set consisted of KISS classics and his solo songs, including "I Can't Stop The Rain", from the 1978 solo album "Peter Criss". Criss handed out roses while he sang "Beth" and closed out the set with the swing classic "Sing Sing Sing". He continued: "I'm a big BEE GEES fan, I was watching the salute to Barry [Gibb, the last surviving member of the BEE GEES], I've been a big fan since they started, and I love that he got up there and performed. And I see now all these guys, from THE ROLLING STONES, Paul McCartney, Rod Stewart, and we're all in our 70s now, and I hate to say it, but we're dying out, and that's so real. There's less rock and roll in the world, less music in the world, and it's kinda sad. "So I'm 71 I'm in the best health I've been in for a while, and I thought if I'm gonna do it, I've gotta do it now. I had male breast cancer and I beat it, and that's really changed my life, and my wife also beat cancer too, so I went out I signed autographs, I wrote a book. When I connected [with the fans] again, I got to hear their stories and they'd ask me if I'd play again or sing again; there was so much love. And when I looked around, everyone was slowing down or retiring, like Eric Clapton, and I wondered what I have left." Criss added that he is planning on finally completing the solo album that he started work on nine years ago. "Before my cancer, I really put down some really heavy rock and roll. I put down some ballads too, but it was heavier than the stuff I normally do. And then I got sick and I put it aside and I've been sat on it these last eight years. And when I moved to California, I took it with me. 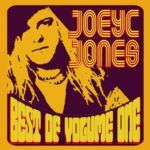 There aren't any vocals on there yet, but I played it to a good friend and he told me that it was the best stuff he'd heard in years and I had to finish it, so when I'm over in June to play my last show in New York City, I'll finish it."